This is one of those ultra-collectible albums (it has sold for over $300) that gets reissuers salivating – they know there’s plenty of demand out there if they can just find the master tape (hell, a clean vinyl copy will do in a pinch) and the license holder, and make a deal that works for everybody. That’s Be With Records’ specialty, and they’ve hit the jackpot with this slice of South African disco. 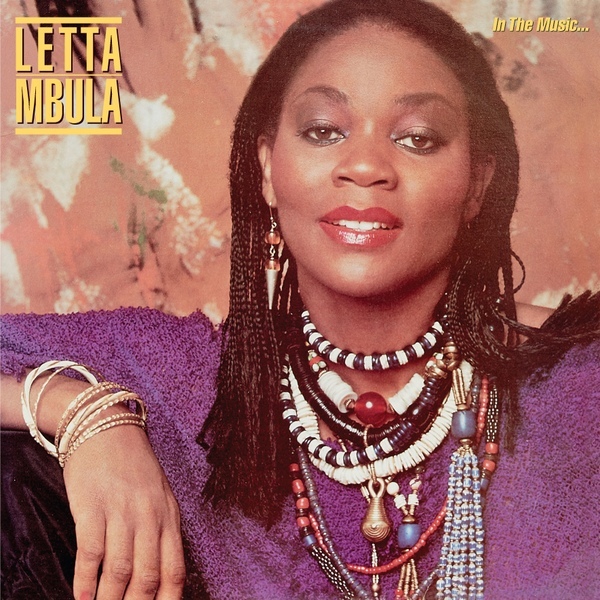 Letta Mbulu is a remarkable singer who emigrated to the USA in 1965 when she was 23 and carved out a successful American career as a kind of lesser Miriam Makeba. She crossed over from jazz to R&B in the 1970’s and made this funky recording with her husband, produced Caiphus Semenya, in 1983. The best-known tracks here are 2, a downtempo jam reminiscent of Grace Jones’ best or Marianne Faithfull’s “Broken English,” and 1 which is four-on-the-floor Afro-disco. Then flip the disc and check out the marvelous side B: 5 is disco-fied mbaqanga, 6 is a beautiful gospel-inflected song built on a keyboard mbira emulation, and 7 sounds like South Africa meets the Sugarhill Gang. It’s a great find, and now you don’t have to pay $300 to find one.